Many people are confused by the term ‘copywriting’. So before we explain about our SEO copywriting services, let’s start at the beginning. 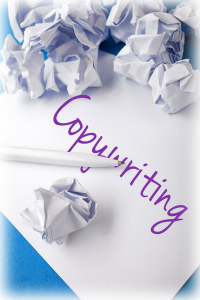 Copywriting is the name given to business writing, in particular any ‘copy’ which is used in marketing. This includes the words on a website, in a product brochure or in an advert, for example. The ‘copy’ is the words. Copy is sometime known, particularly on a website, as ‘content’. Copywriters are highly skilled people who write ‘copy’. They not only have to be exceptional writers, a good copywriter also must have marketing knowledge and an understanding of the psychology behind buyer behaviour. While copywriting is a skilled job, SEO writing is an art. The SEO copywriter must write powerful marketing copy to motivate your prospective customer to buy from you. At the same time, they must write to help the search engines index your website. At SEO Service Pros, we boast a specialist copywriting team. Our SEO copywriters are both highly skilled and experienced in working across a range of industry sectors. And, like all our SEO services, our website copywriting is delivered with honesty and integrity. Before we appoint our SEO copywriters, we make sure they have the right skills, a proven track record, and a thorough understanding of the SEO processes. This means you can be certain our SEO copywriters have the skills, not just to help improve your search engine optimisation, but also to boost your conversion rate and increase your sales. SEO copywriting is a complicated subject and we’re here to offer advice. So, if you need any help or information about website copywriting, get in touch. You can send us your enquiries right now or phone on 0845 601 2237. SEO copywriting is a blend of compelling copy and specific keywords. These keywords must be used in the right way and in the right places on your website page. They must be used enough to optimise the site, but not so often that they make the copy uncomfortable to read. Keywords are not just for search engines though. Visitors to your website will scan your copy looking for specific keywords too. This helps them see at a glance if you provide the products or services they are looking for. By using keywords in the headings, for example, you can help your website visitors and the search engines. When it comes to website copywriting, it is the human audience which is the most important. Search engine robots, no matter how sophisticated, will not buy your products or services! The copy on your website must be written for people first and search engines second. Good SEO copywriting is easy to read and uses keywords unobtrusively. It also motivates the customer to act: to buy your products and services. Finally, it must also help the search engines to understand and rank your website. Sadly, poor examples of SEO copywriting are all too common. They are a meaningless jumble of keywords and phrases, written solely for the search engines. This type of website copywriting will lose you sales instead of gaining them. Using our SEO copywriting service will make sure your website copy is professionally written, making it effective easy reading which delivers results. Some people choose to do their own website copywriting. If you’ve ever tried this, you’ll know it’s much harder than it sounds. Often, as a result, their websites don’t perform well and potential sales are lost. SEO copywriting is the foundation of your website’s optimisation. If you neglect your website copywriting, your investment in SEO services will be less effective. As a marketing tool, your website is there to increase conversions and make sales. So SEO copywriting is critical to your website’s success. Contact our SEO Service Pros team today on 0845 601 2237 and start to invest in the future of your website. Don’t forget you can send your SEO copywriting enquiry too.